The JSRP team has been deeply saddened to learn of the untimely death of our colleague from the South East European Research Network. Svetlana Djurdjevic-Lukic was a prominent Serbian civil society activist, policy analyst and scholar. She was an expert in human security and security policies, alongside her long-standing interest in US foreign policy. 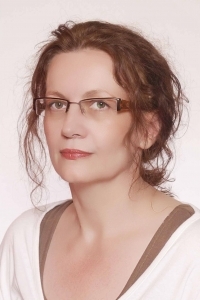 She was the author and co-author of numerous monographs, such as Global Policy of the US: 2001-2012 (2013) and The International Presence in Kosovo and Metohija, 1999-2009 (2010) as well as articles, book chapters and policy papers, including ‘The Media and Security Sector Reform in the Western Balkans’ (Geneva Centre for the Democratic Control of Armed Forces, DCAF, 2010), ‘The Participation of Civil Society in the Human Dimension of the OSCE’ (The Institute for Comparative Law, 2015), ‘LGBT Community and Security Sector Reform in Serbia’ (Centre for Public Policy and OSCE, 2011). In the early 1990s, Svetlana pursued her interest in politics as a journalist and correspondent for numerous Serbian and international media. She was a prominent liberal voice in Serbia that opposed Slobodan Milosevic’s war policy in the Balkans. In the late 1990s, she applied her talent for writing to the policy field. She was a firm believer in engagement and collaboration as a means of influencing and shaping public policy. One of the many working groups she contributed to is the Serbian Government Working Group for drafting the National Action Plan to implement UNSC Resolution 1325 (2016-2020). She also provided regular consultancy for the Office for Democratic Institutions and Human Rights (ODIHR) of the Organisation for Security and Cooperation in Europe (OSCE) and the United Nations Development Programme (UNDP). Svetlana was a director and co-founder of the Public Policy Research Centre in Belgrade, a centre that is unique in its remit to highlight security issues from the perspective of all citizens, including the young, Roma, the LGBT community, and women. What distinguishes her policy work and advocacy is its rootedness in the latest writing and debates on the issues of human security and peace-building. She had a special talent in translating academic research into policy ideas and advocacy. Svetlana kept abreast of the latest debates with unparalleled intellectual curiosity, while basing her critical insights on a tireless pursuit of fieldwork and the desire to get to know both the context and the people. Svetlana was awarded an MA in Politics, Security and Integration from University College London and held fellowships at Columbia University and Oxford University. She graduated in history from the Department of Philosophy, University of Belgrade. She had submitted her doctoral thesis entitled ‘The Role of the United Nations in Peace-Building: The Case-Study of East Timor’ to the Department of Political Science, University of Belgrade and her viva was scheduled for Wednesday, 28 September 2016. Throughout her career she built collaborative relationships across borders, with colleagues both in the global academic community and in the countries of the Balkans. In 2012 the JSRP invited Svetlana to participate in its new research collaboration with The Asia Foundation (TAF), facilitating this through the JSRP partnership with the South East European Research Network. The collaboration aimed at comparing Theories of Change used by TAF and others with the evidence generated by the organisations themselves, as well as with field research and social science. The project involved fieldwork in a number of TAF locations combined with workshops at LSE. Svetlana elected to undertake her research in Timor-Leste where she was hosted by the TAF field office in Dili for an extended period. She attended several workshops at LSE to discuss her research with others from across the consortium and subsequently contributed a richly detailed paper on community policing to the JSRP-TAF Theories in Practice series. Her research in Timor-Leste also contributed towards her subsequent doctoral thesis. More recently, together with colleagues from the LSE Department of International Development, Svetlana took part in a project under the aegis of the European Commission to establish a cross-border citizens’ network on human security in South East Europe and Turkey that brought together scholars and civil society actors from across former Yugoslavia, Europe and Turkey. She made an invaluable contribution to developing the intellectual agenda of the project, as well as dedicating enormous amounts of energy to supporting researchers in the field, helping them to improve their ability to translate research findings into evidence to enable policy reforms in the region that would address insecurities facing ordinary people. Svetlana’s tragic death robs us of a sharp thinker about the human side of security, a tireless activist and advocate of human rights, and a devoted friend. Our condolences are with her husband and children. Nick Rowland, York University (Nick spent time in Timor Leste with Svetlana as part of the JSRP-Asia Foundation project on Theory of Change). ‘I had the pleasure of knowing Svetlana through her research on human security in the Balkans. Her enthusiasm, her expertise on issues of human rights, and her commitment to continue the fight against small arms impressed me deeply. Her passing is a huge loss not only for her family, relatives, and friends, but also for all those who fight for human rights in the Balkans. I bow with great sadness to her memory.